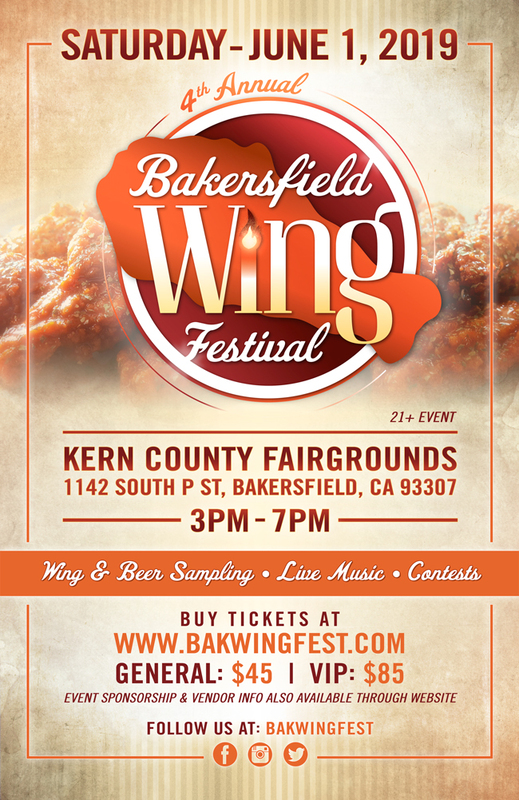 The Bakersfield Wing Festival has returned for its 4th year! It’s the hottest, spiciest and most flavorful event to hit Kern County. This event will be held at “Kern County Fairgrounds – Budweiser Pavilion ” located at 1142 South P Street on Saturday, June 1, 2019 from 3:00PM to 7:00 PM. Thousands in attendance! Check out this year's wing vendors! The PDF sponsorship packet lists the details for each sponsor level and all the information you need to know about becoming a sponsor. We hope to add your company as an event sponsor! Keep up with Bakersfield Wing Festival Updates! You can change your mind at any time by clicking the unsubscribe link in the footer of any email you receive from us, or by contacting us at info@bakersfieldwingfest.com. We will treat your information with respect. For more information about our privacy practices please visit our website. By clicking below, you agree that we may process your information in accordance with these terms. Keep up with Bakersfield Wing Festival on Social Media!